Previously, searching for an app would bring out a list of results in equally sized list cards. 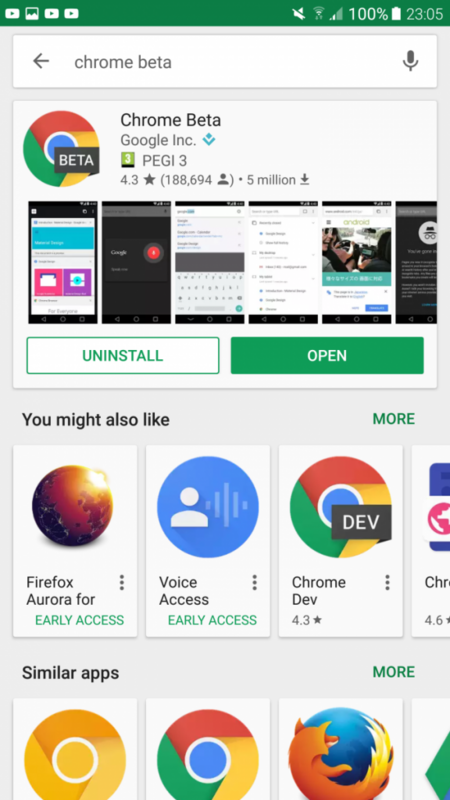 With the new updated UI, the most likely search result is displayed first in a large card with compact information on the average star rating, number of ratings, approximate number of downloads and other icons indicating content rating and ‘Top Developer” status. You also get the app’s video preview as well as screenshots, all accessible from within the large card in the search results. Side scrolling lists follow the main search result in the form of “You Might Also Like” and “Similar Apps”. The rest of the search results follow along after that in their simpler card format. This new search UI only works when you have typed out the full name of the app.